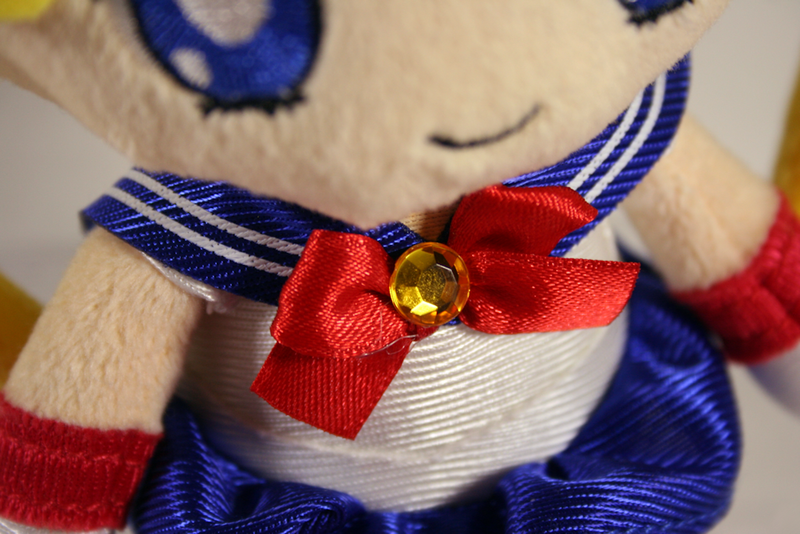 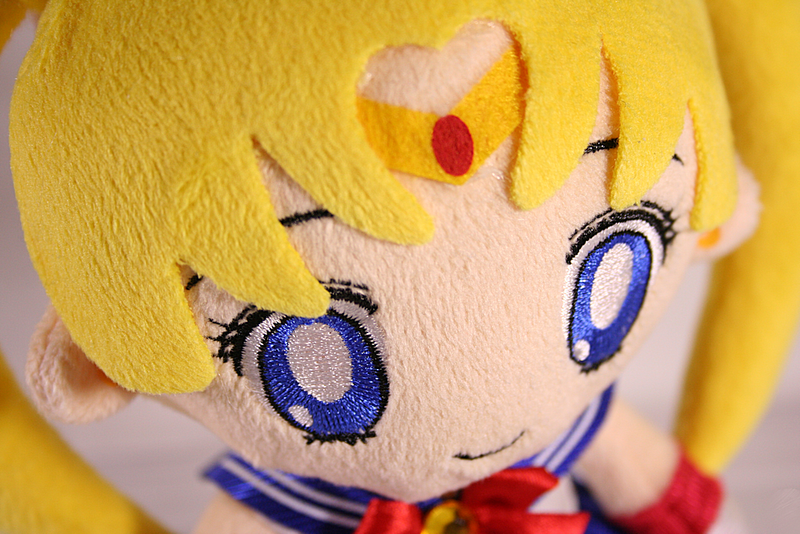 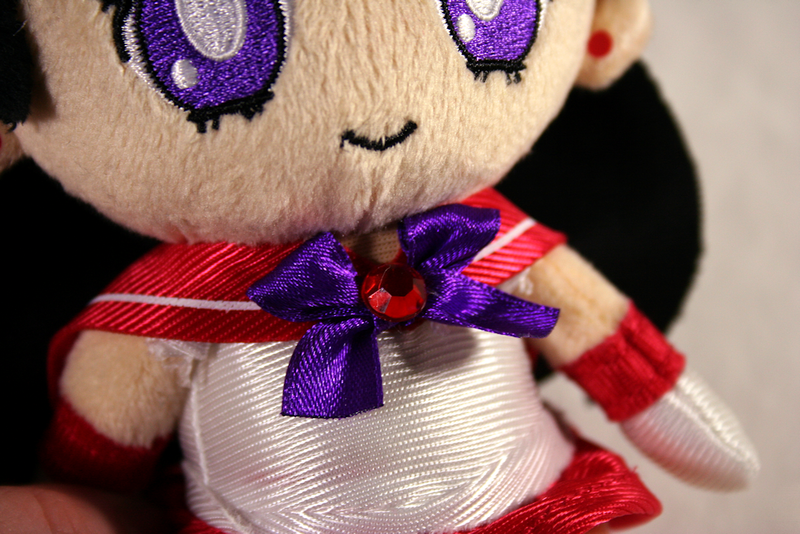 20th Anniversary Sailor Moon Plush Set 1 – MoonFigures Collection, Art, and Reviews! 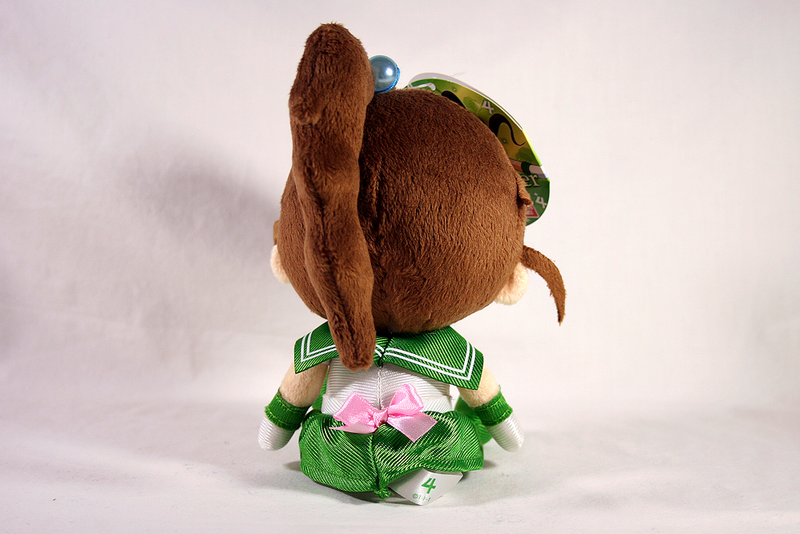 Please excuse my change of format for this particular entry. 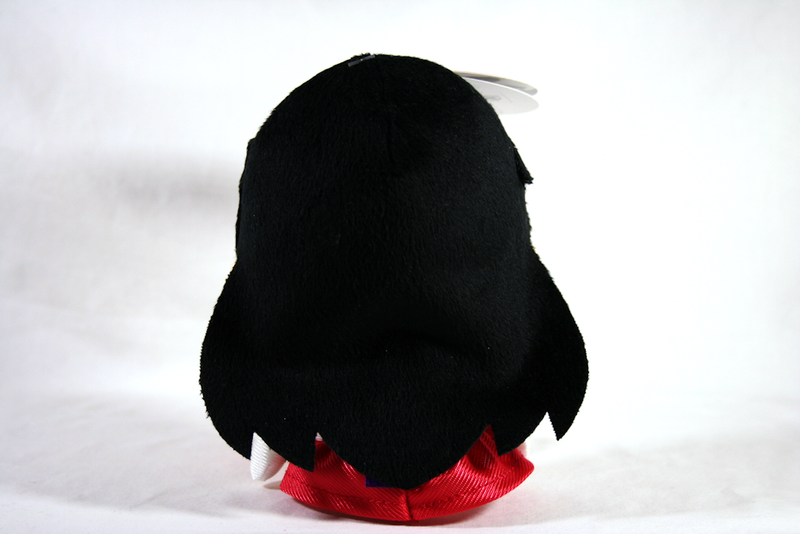 I wanted to post the plush as a set (as I will for set 2), so there are a LOT of pictures. 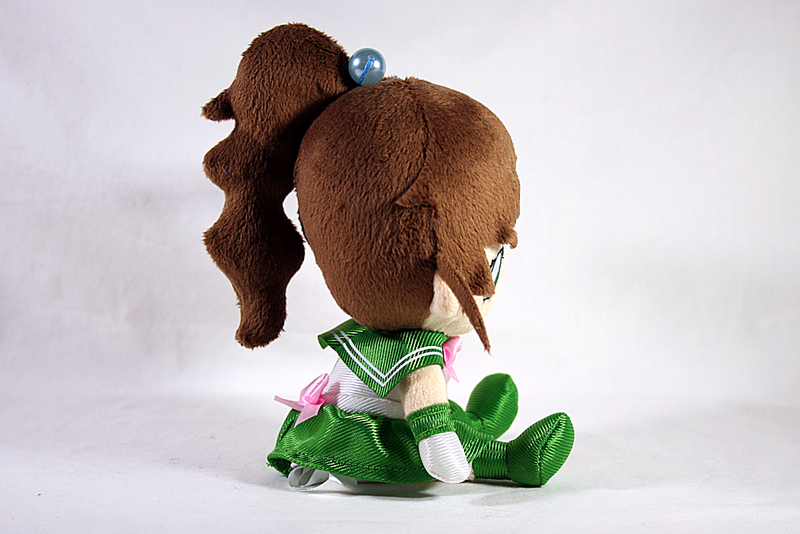 This entry will be VERY picture heavy, but they’re small and clickable for your convenience. 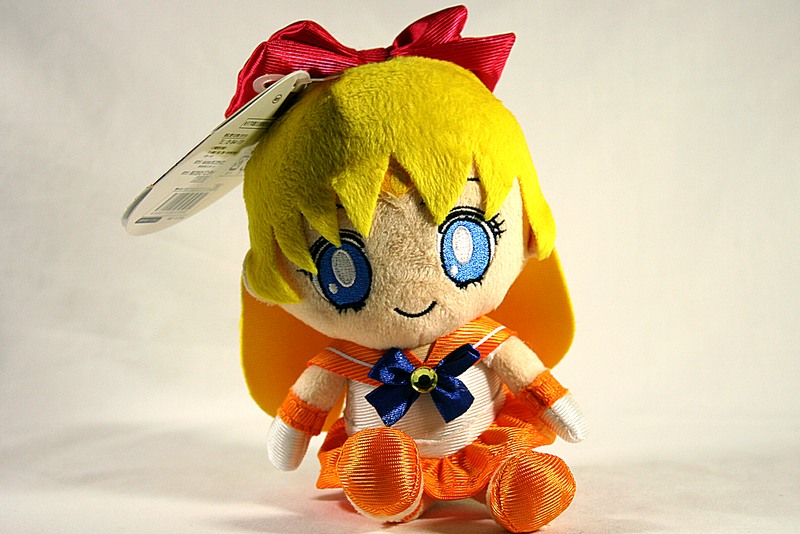 These plush come loose individually, as well as in a box set. 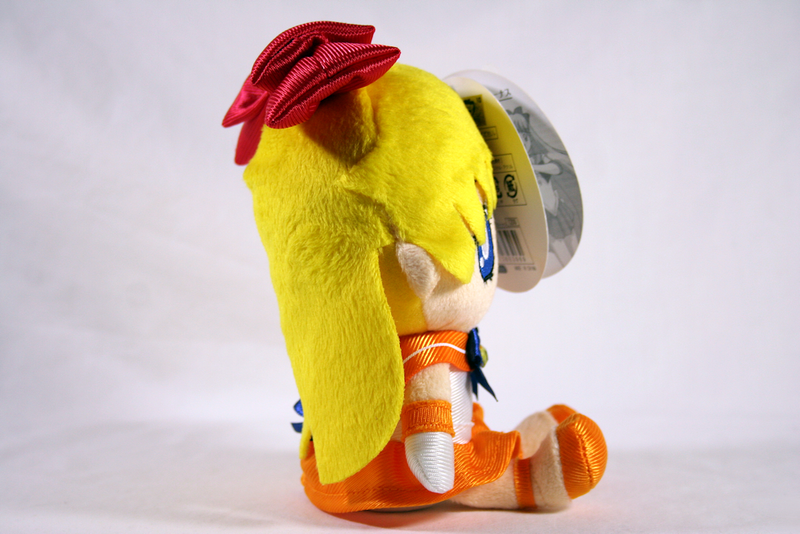 While the individual plush averaged about $10 each, the box set, in places that were selling it for suggested retail, sold for about $40, so slightly discounted. 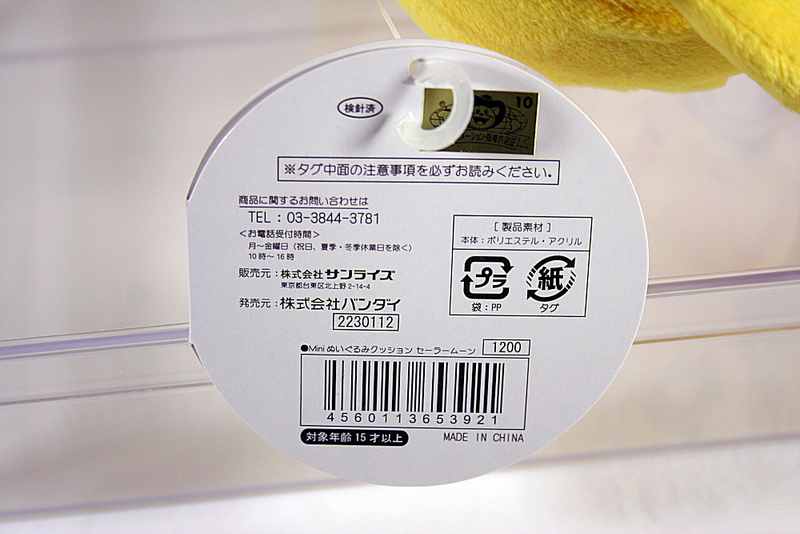 There are no differences between the BOXED plush, and the LOOSE plush though. 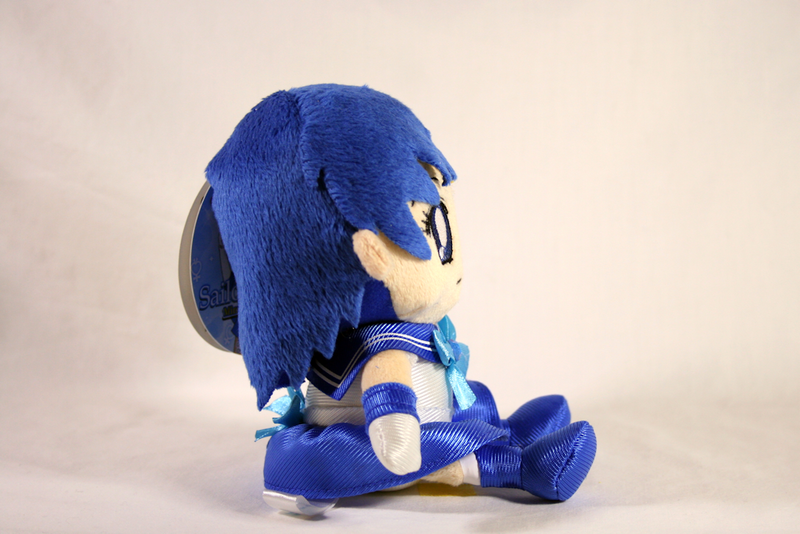 The plush are made so that they sit. 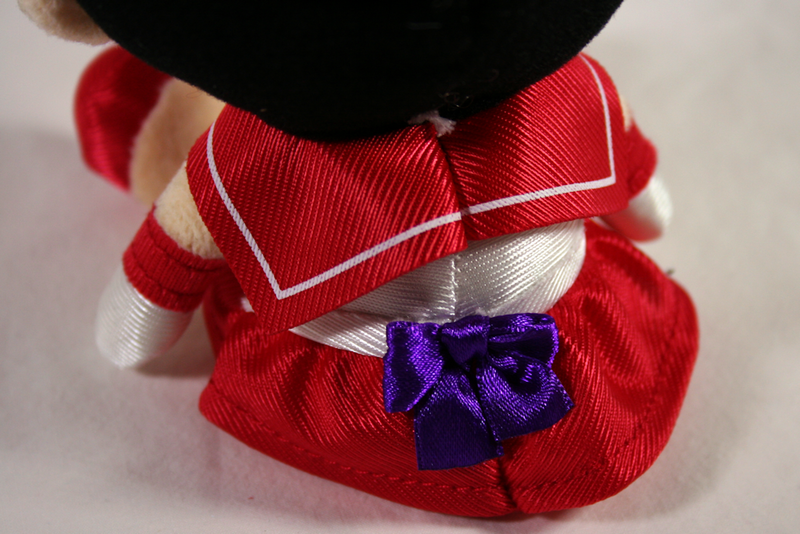 The bottoms are stuffed with beans, the bottoms sewn so that they’re flat, and the legs so that they stick out on the front. 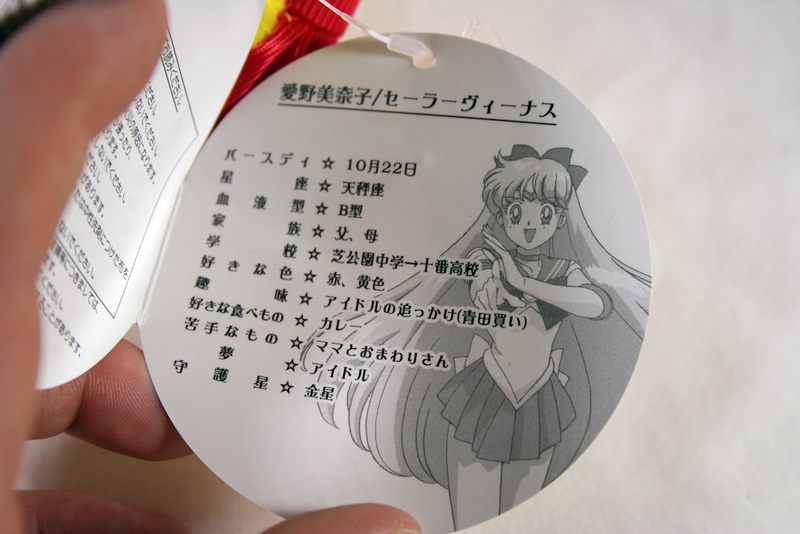 For the most part they sit just fine, but I’ve found my Jupiter and Venus have issues balancing. 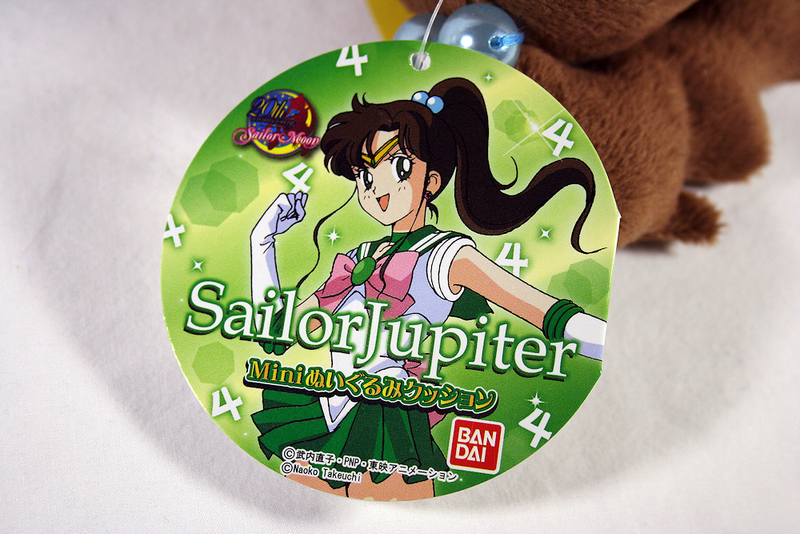 This could be because of Jupiter’s stuffed hair, and Venus’ hair bow. 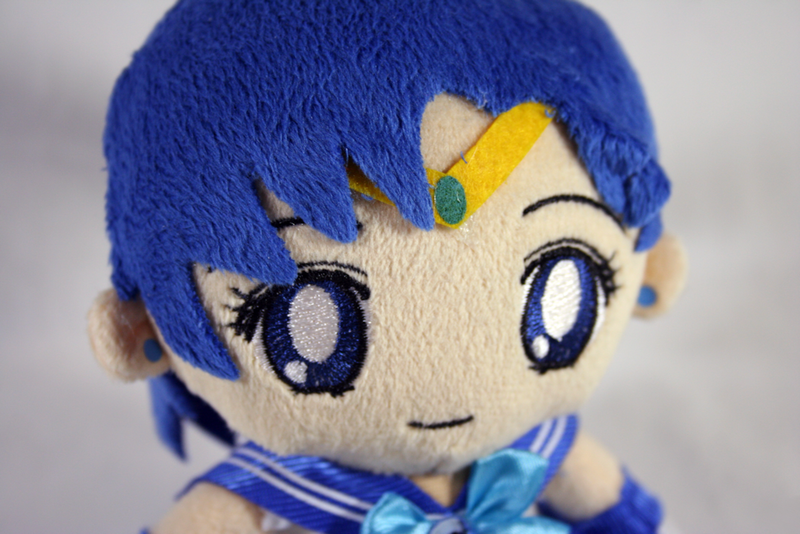 The plushies seem relatively strong and high quality. 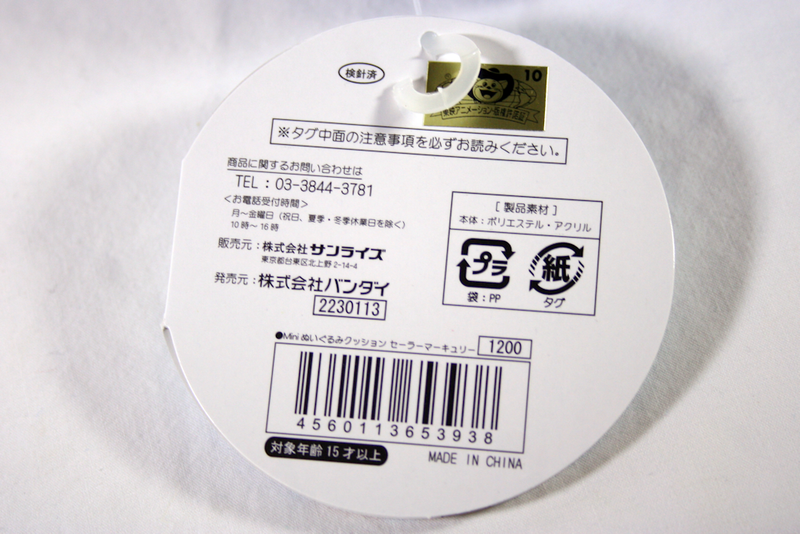 I wouldn’t expect many pieces to fall off of these because of old glue or wear. 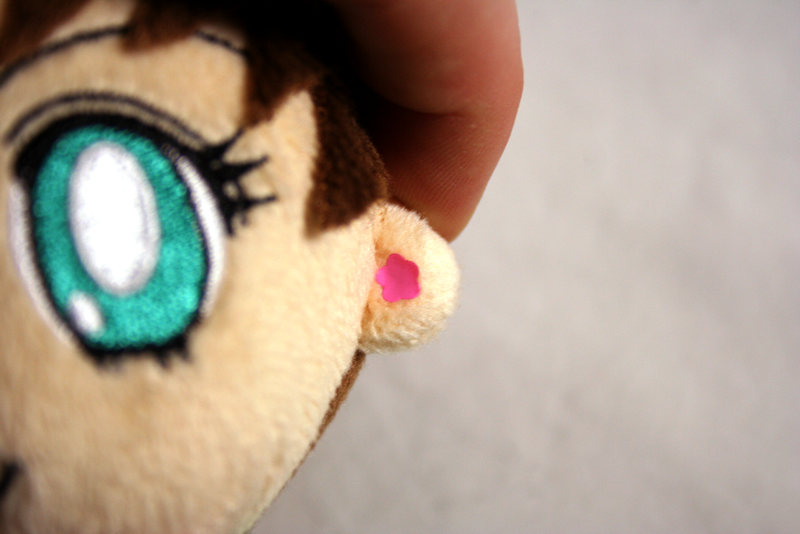 Most things appear to be stitched on. 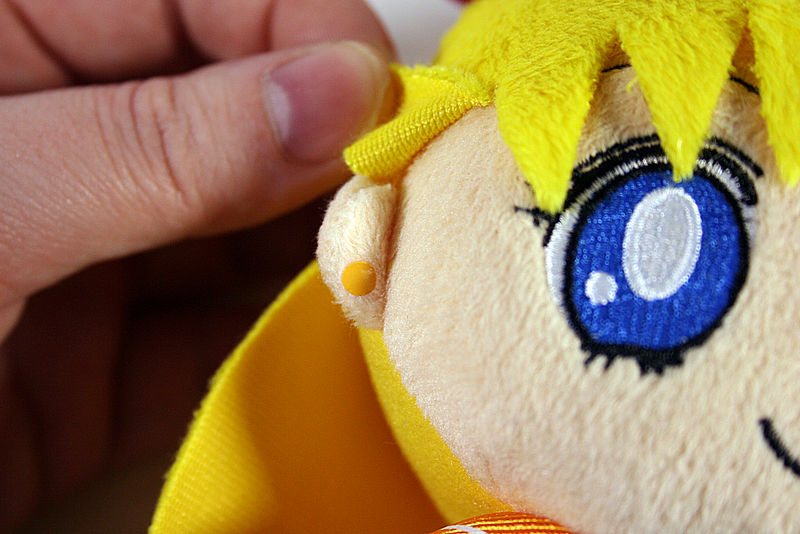 The only pieces that appear to be glued are the earrings, which are also a fabric or paper. 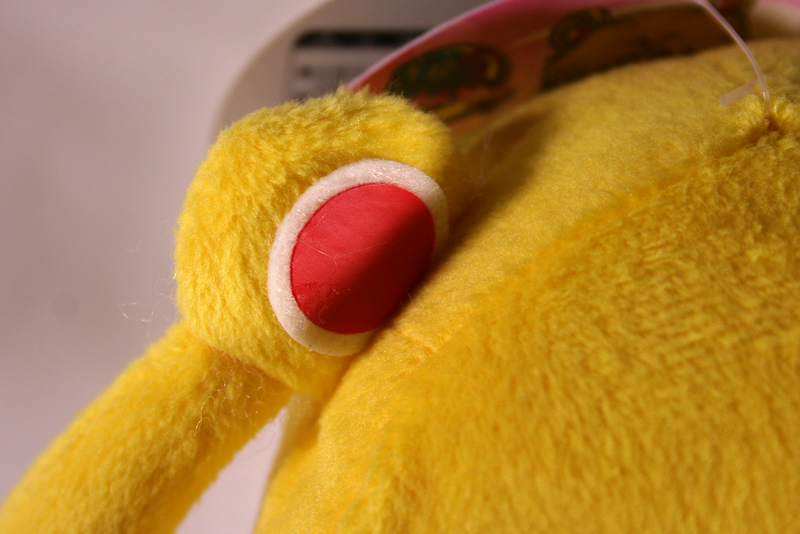 Everything is done extremely clean on these plushies, from the embroidery in their eyes, to how each piece has been stitched on as part of the plush. 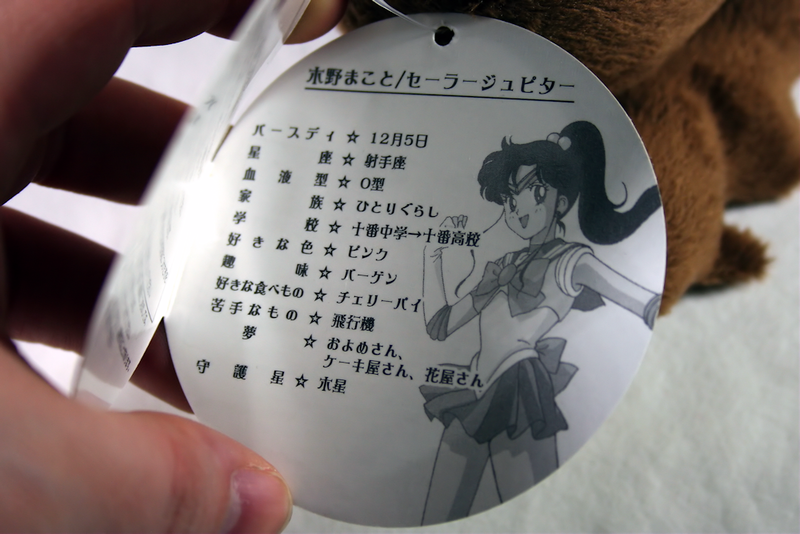 It seems most of these are put together as a PLUSH, instead of a body with clothing on it like some of the earlier pieces from the 90’s (some important pieces had been glued on). 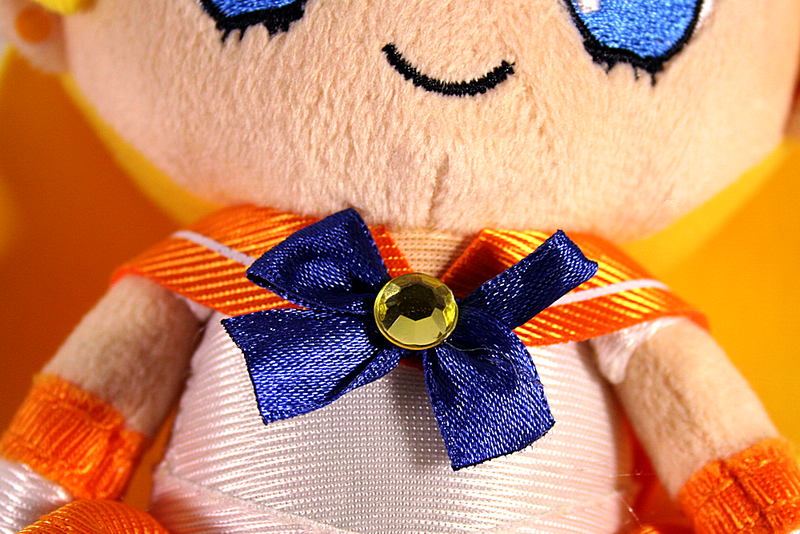 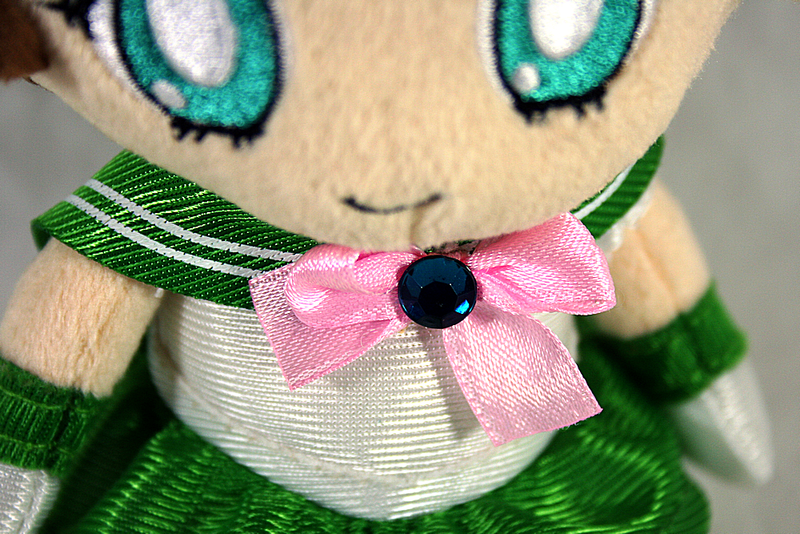 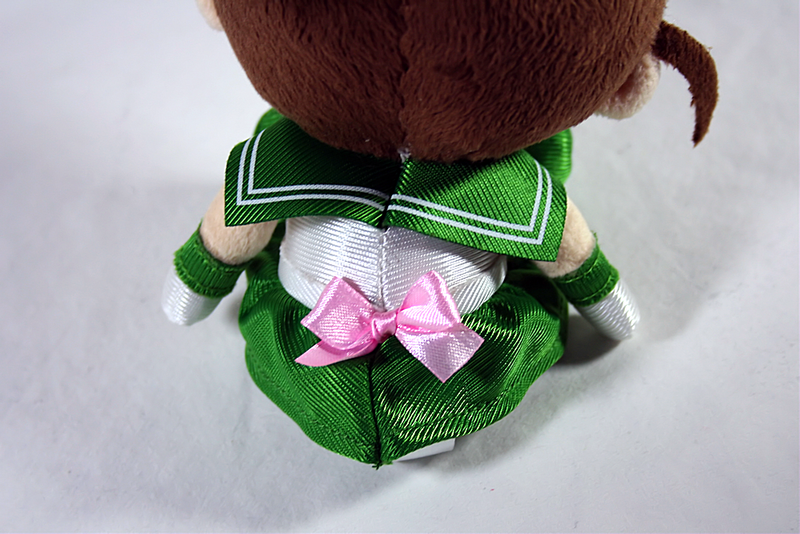 The gems on their bows are just plastic rhinestones, but are a nice touch compared to the normal fabric or paper materials. 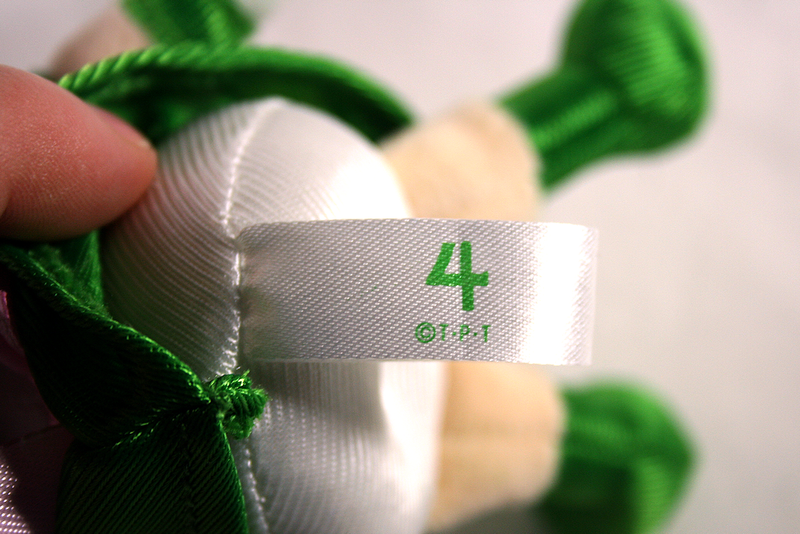 The stripes, which in the past were normally stitched on, are printed and solid. 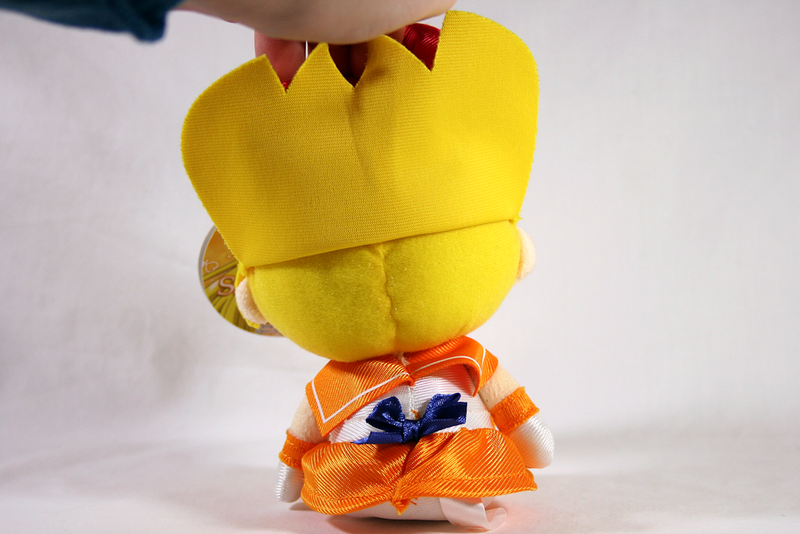 Unfortunately the tiara gem gets ignored and appears to be printed into the fabric tiara. 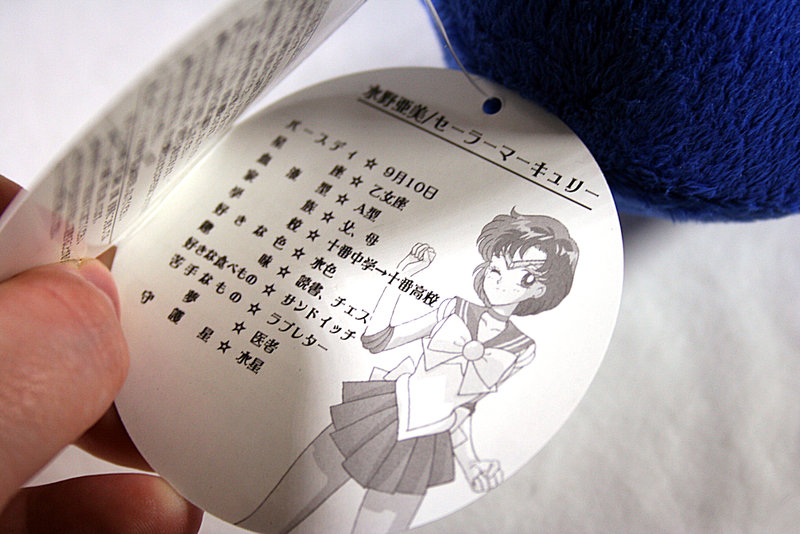 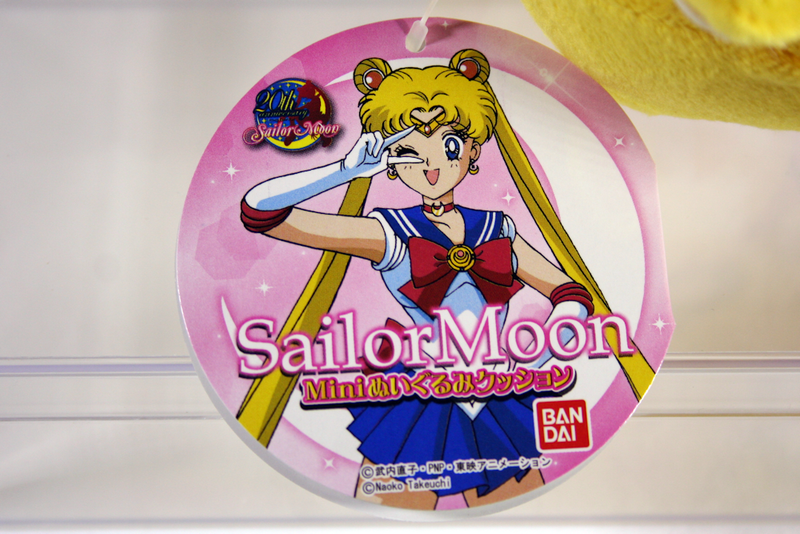 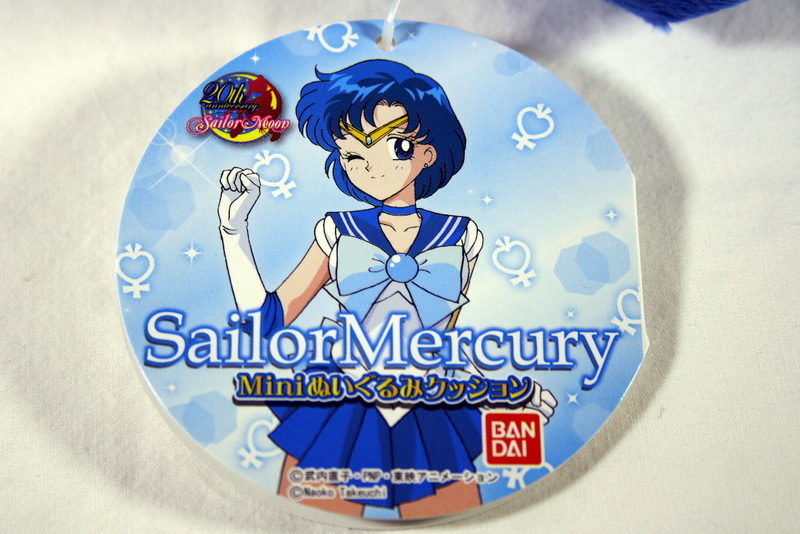 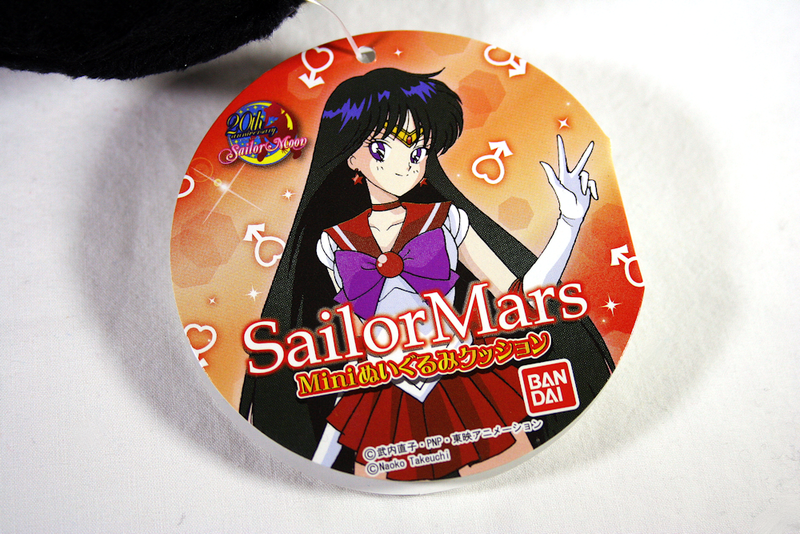 The same goes for Sailor Moons hair bun pieces, which appear to be some sort of thick card stock. 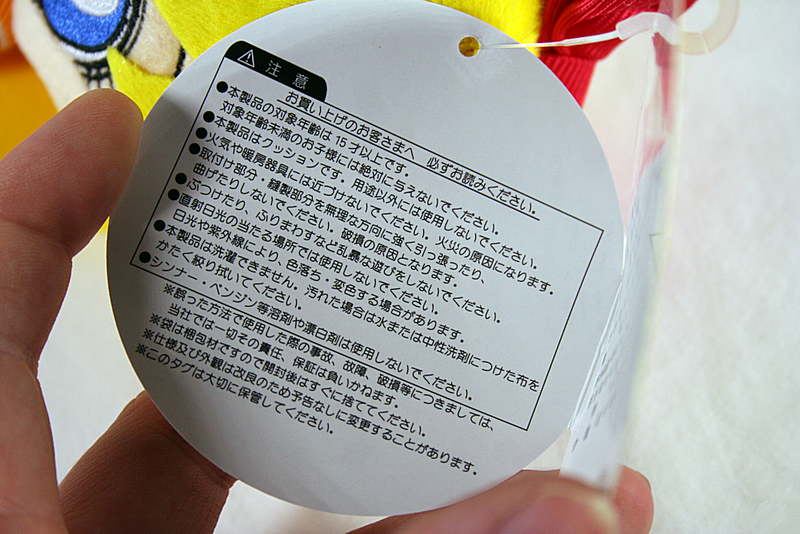 The tags for this set are probably among my favourite for any plush series I’ve owned yet. 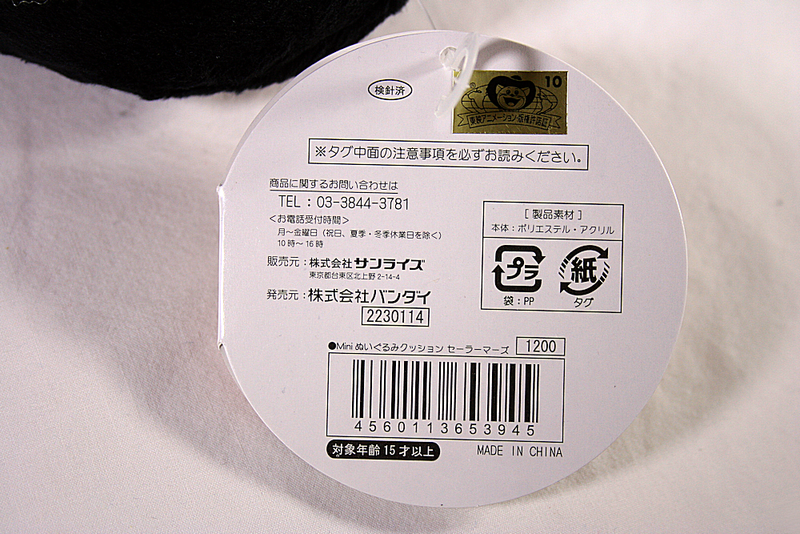 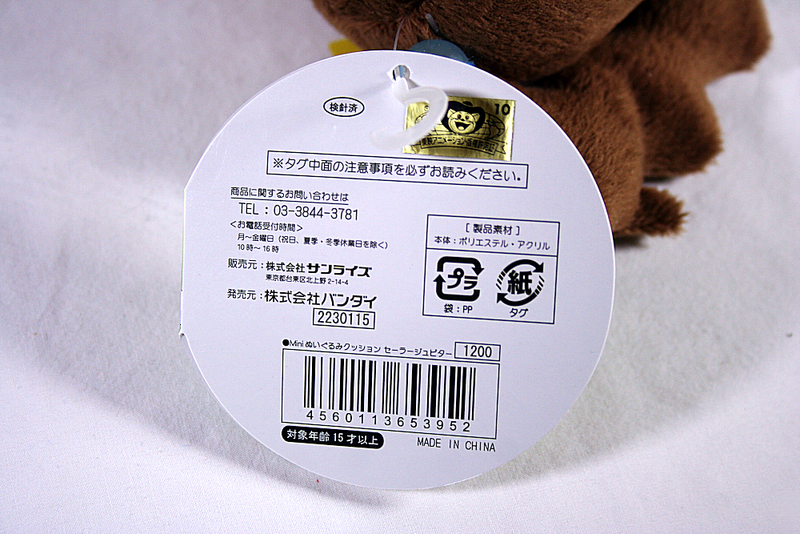 Each tag has the character on the front, and a profile in Japanese on the inside. 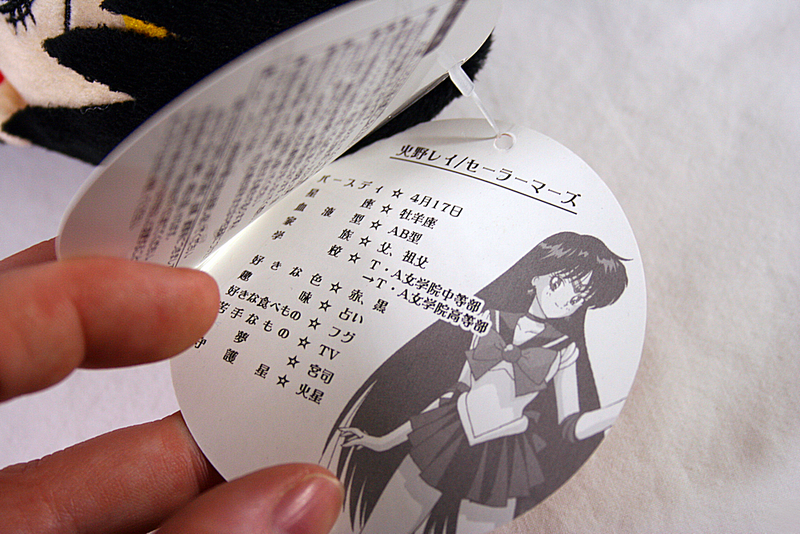 It also has the TOEI tag on the back, instead of on the tush tag. 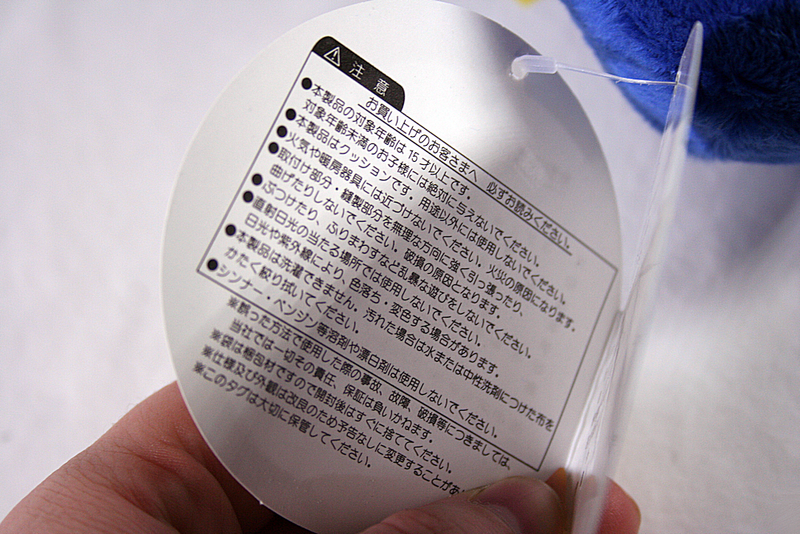 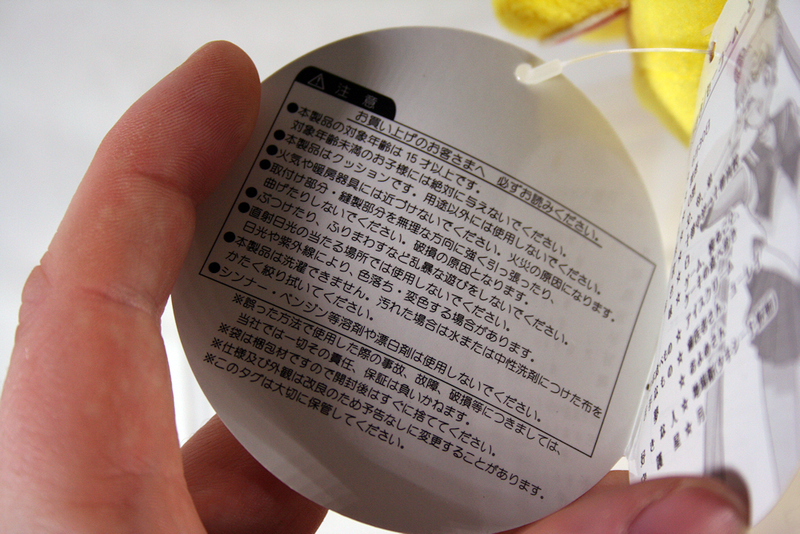 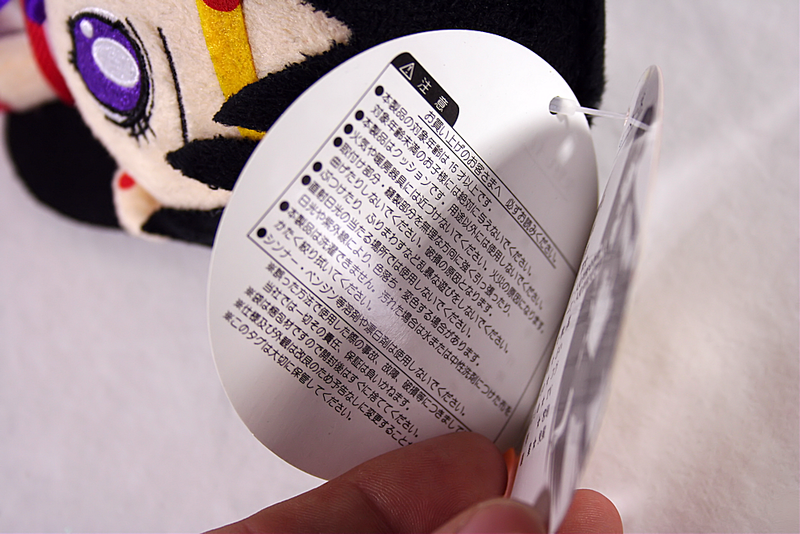 Copyright information and warnings can also be found printed on the inside left flap, and back. 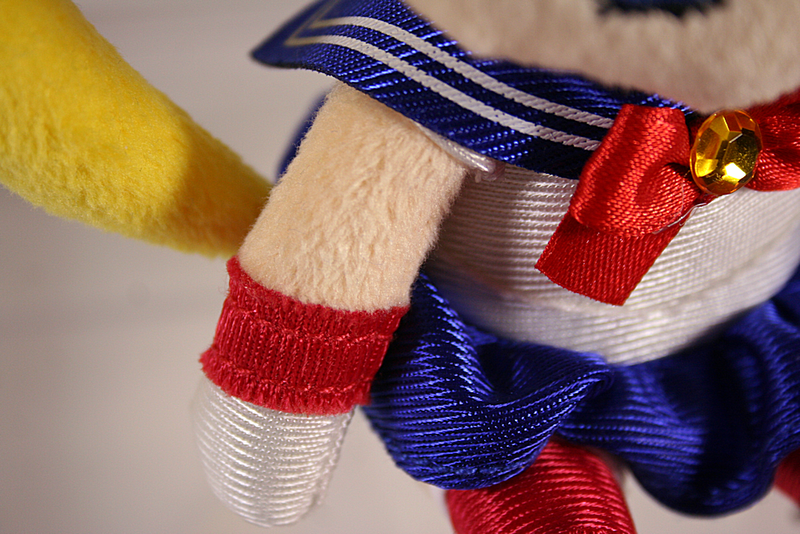 They’re attacked to the top of each Senshi’s head. 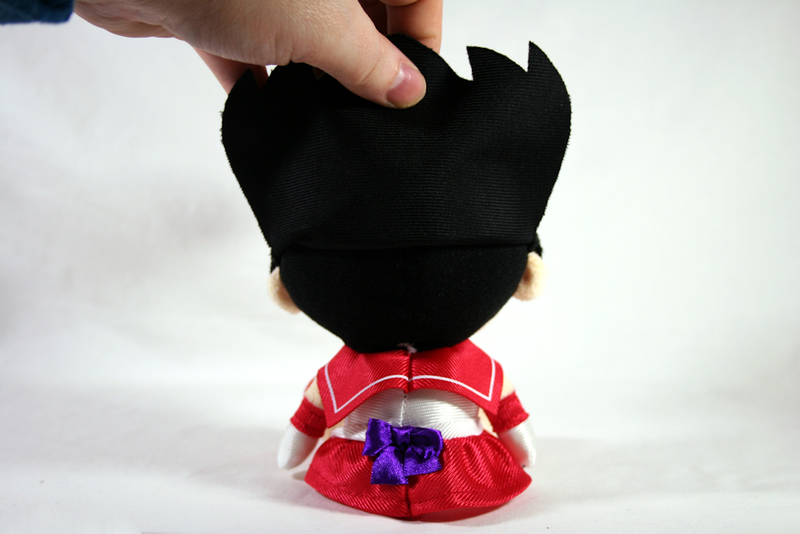 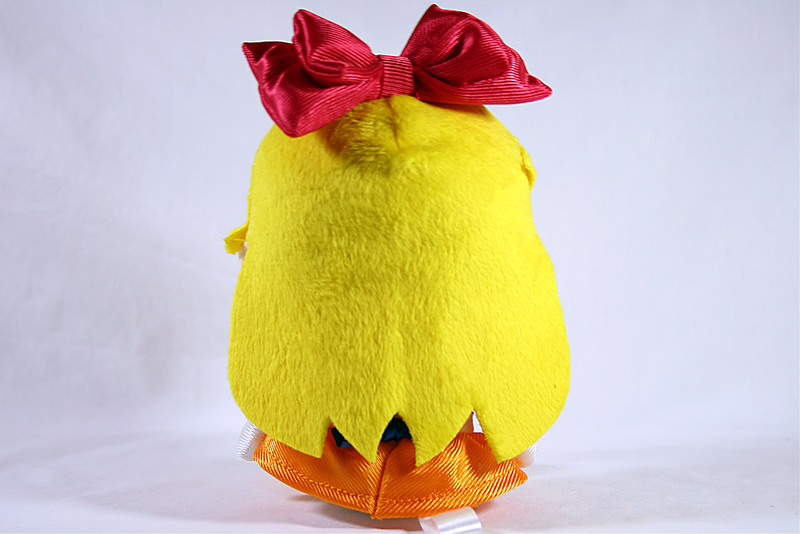 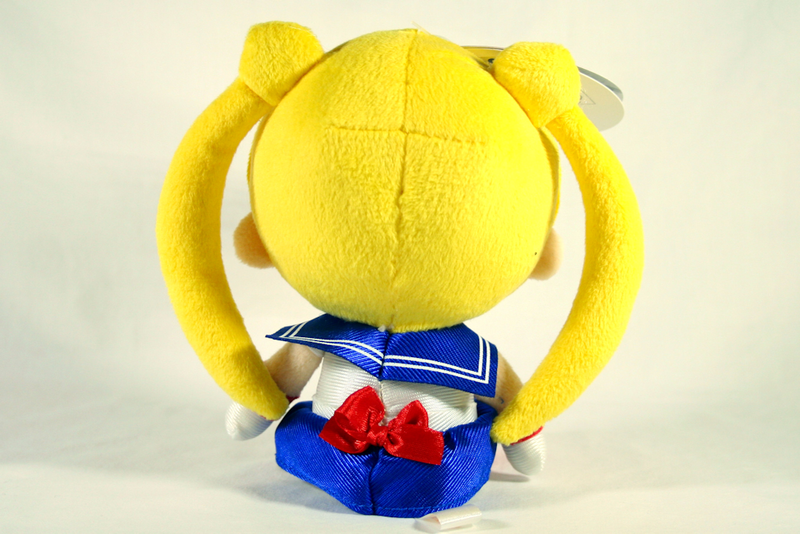 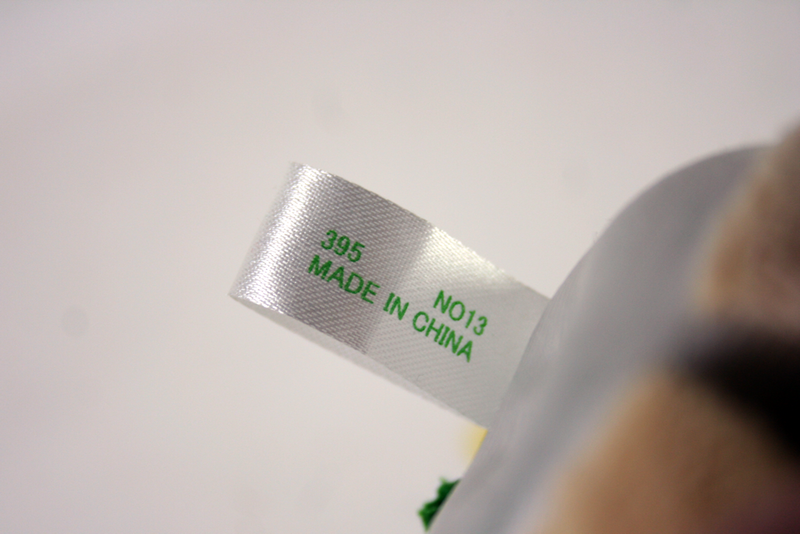 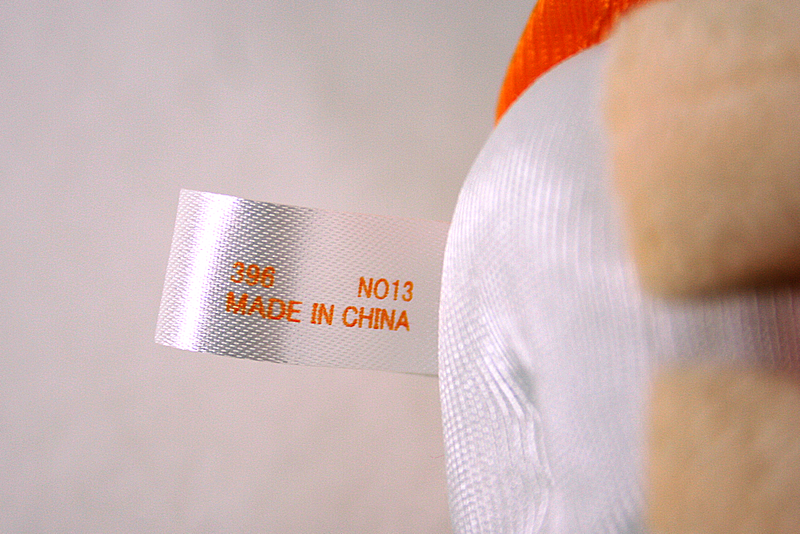 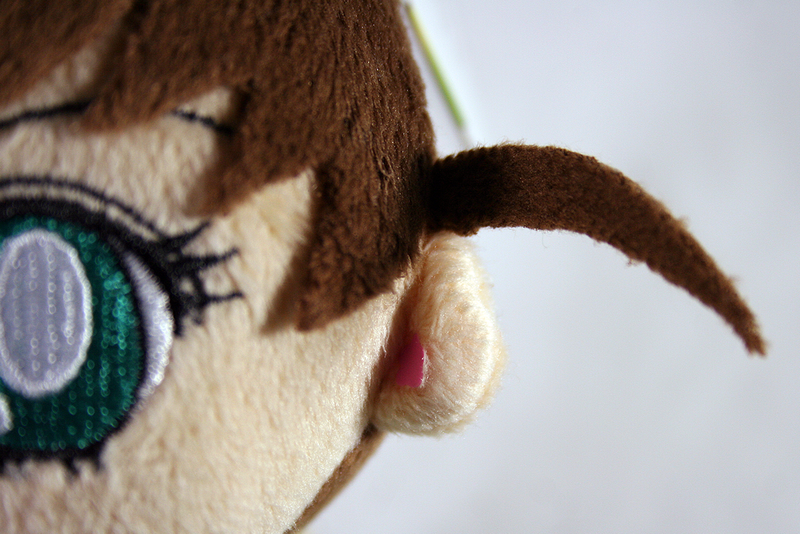 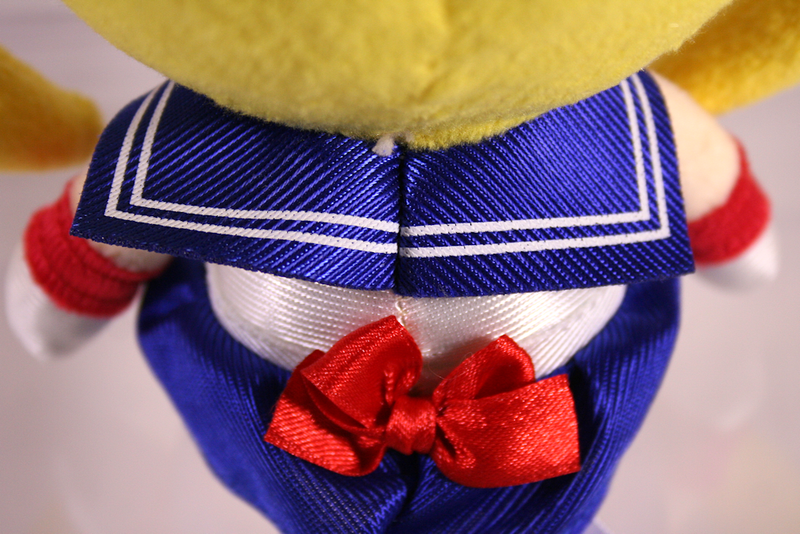 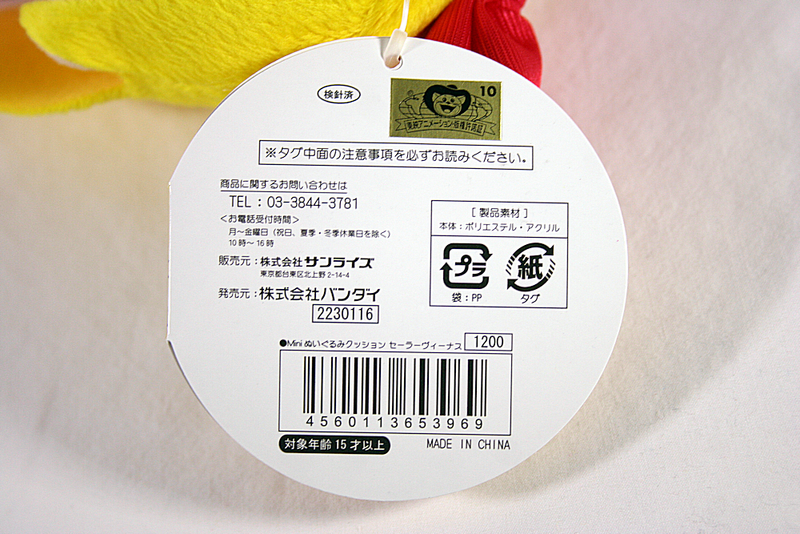 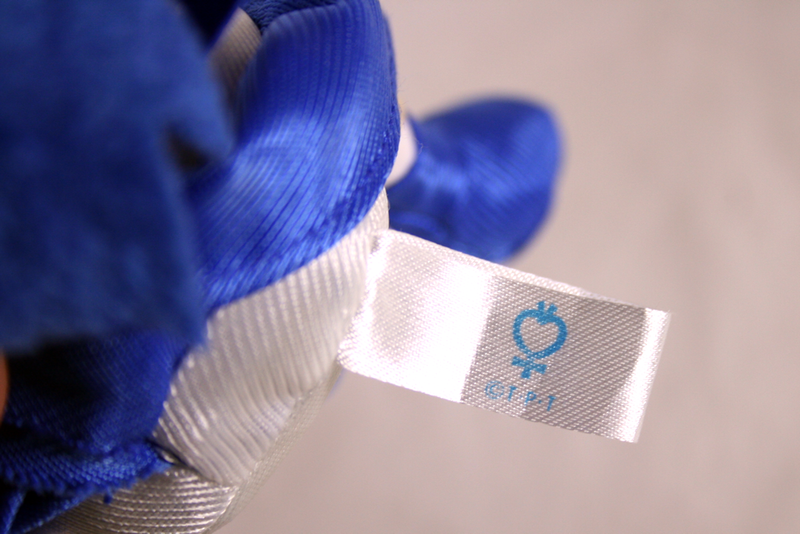 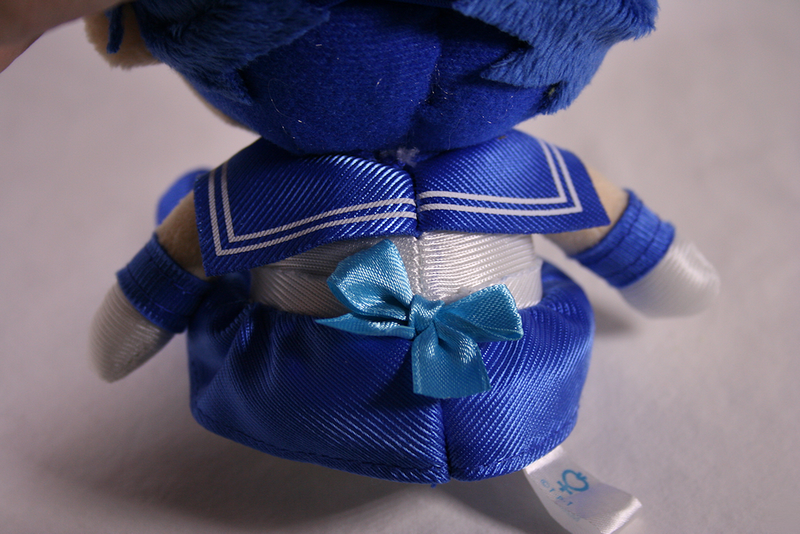 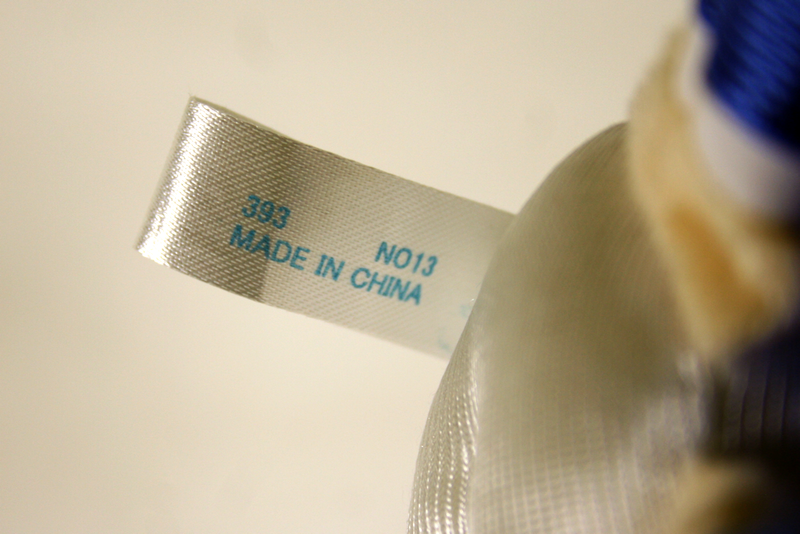 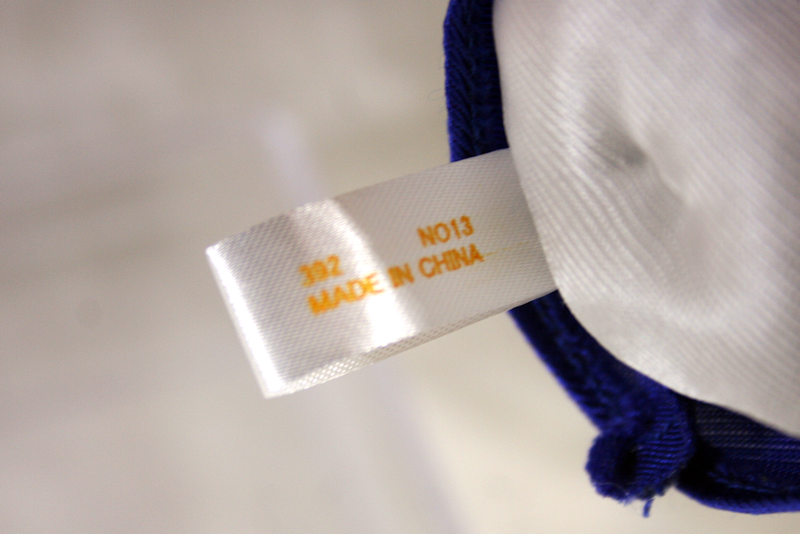 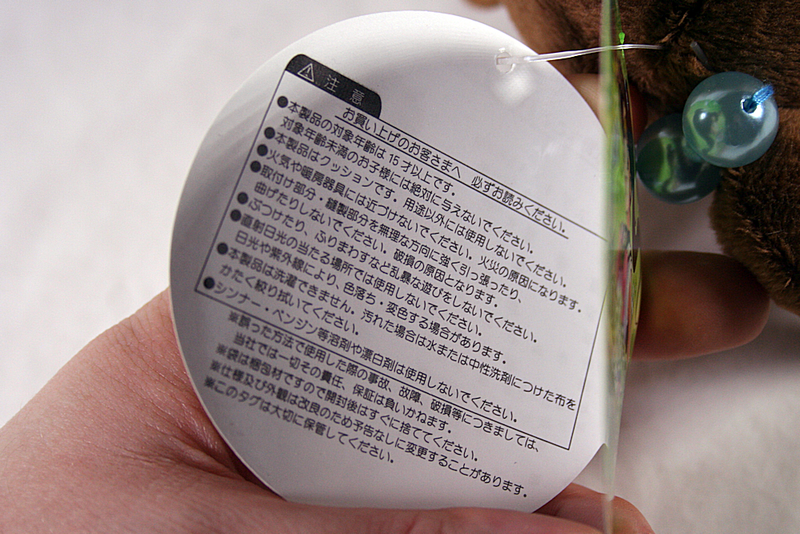 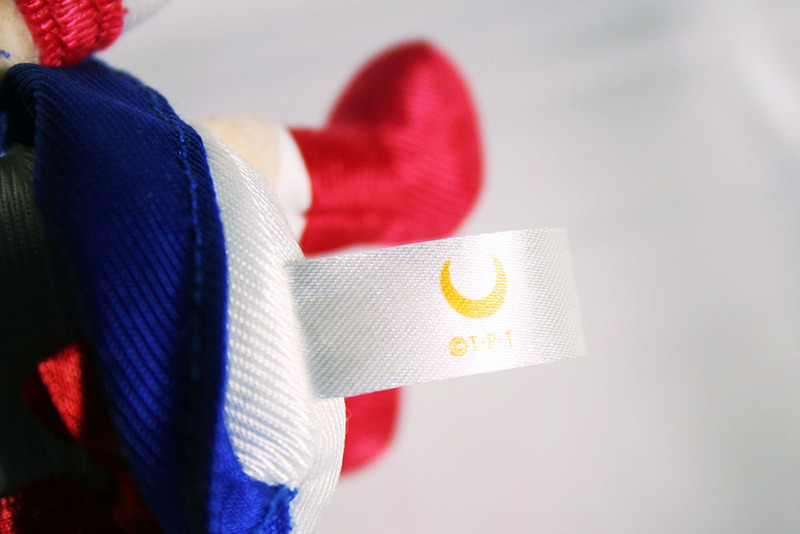 The tush tags are located on the back butts of the plushies (hence, tush). 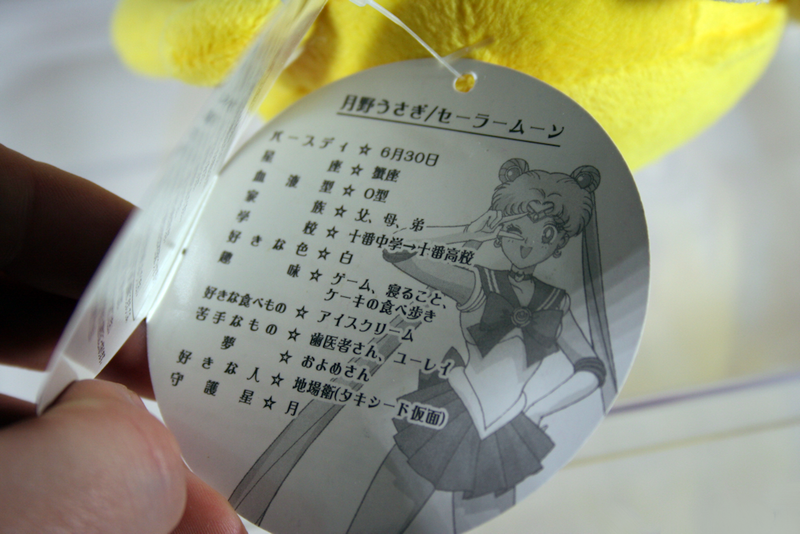 On the top they’re printed with the corresponding Senshi’s symbol, and on the bottom is their plushie number (392 – 398), the month/year they were released (Lies! 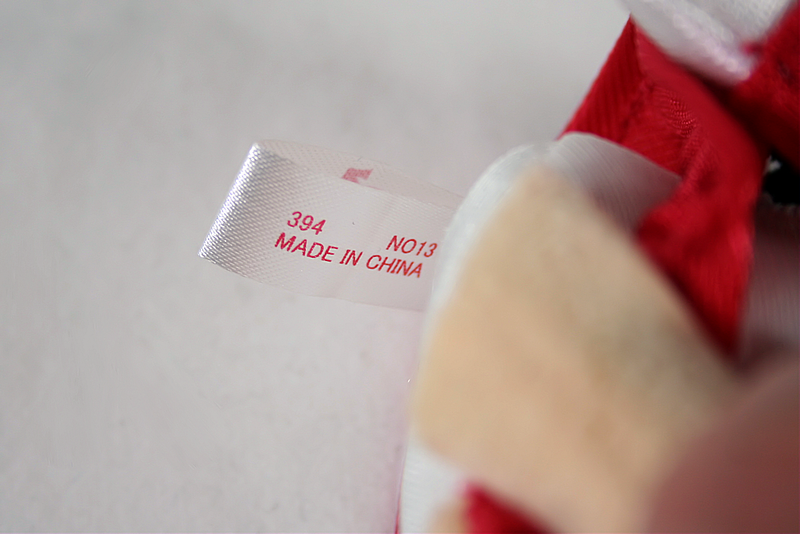 They were delayed and released in Dec, not Nov as scheduled), and where they were made (China). 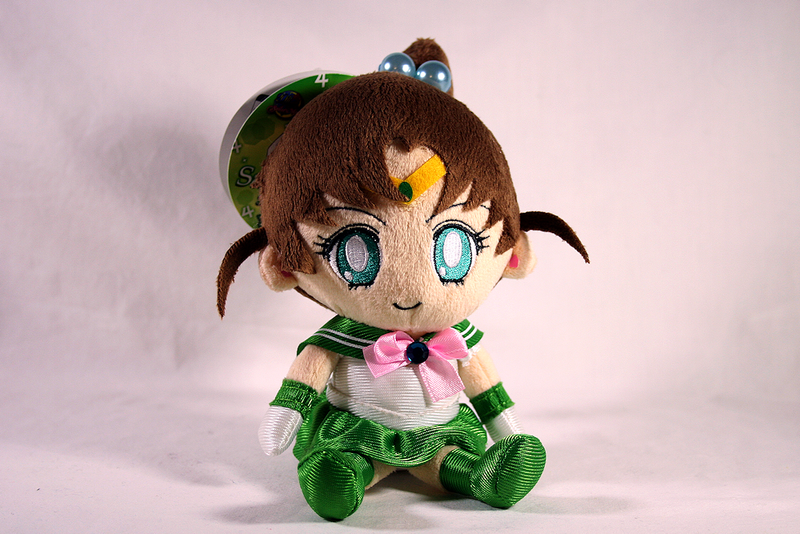 These plushies are very nice. 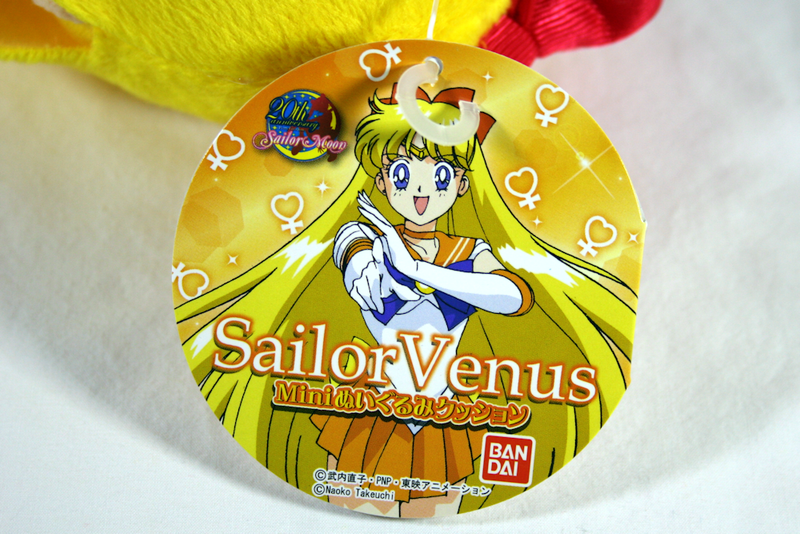 They’re cute, well made, reasonably priced at 800 – 1200 yen average retail, and are small enough to keep on a shelf, or display case. 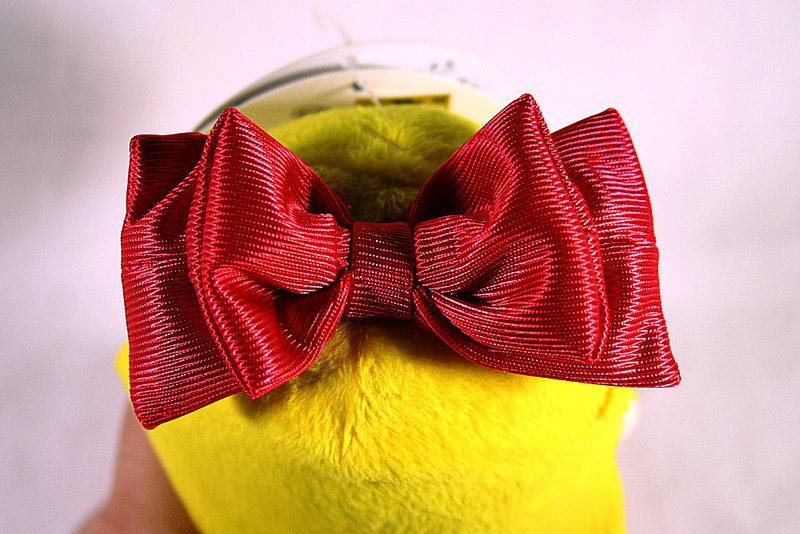 The fabrics feature lots of wonderful textures that do not hinder their appearances, and displayed these plush look ADORABLE. 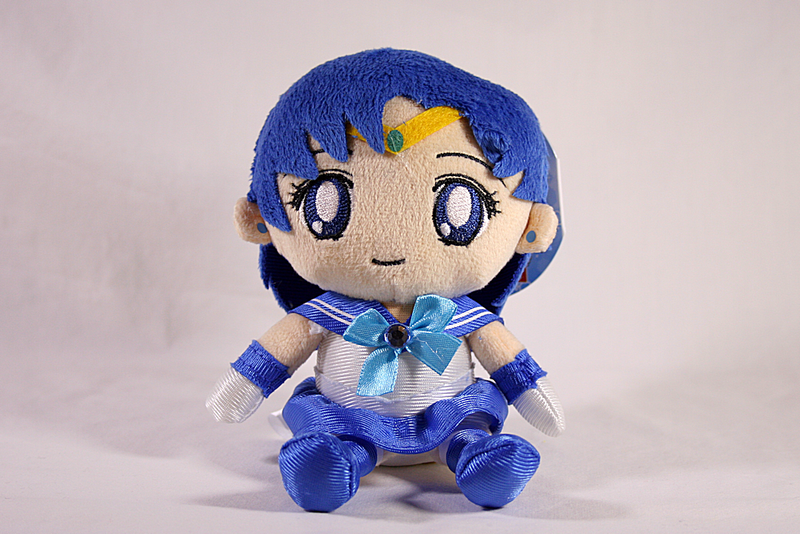 Recommended for Plushie, and general collectors. 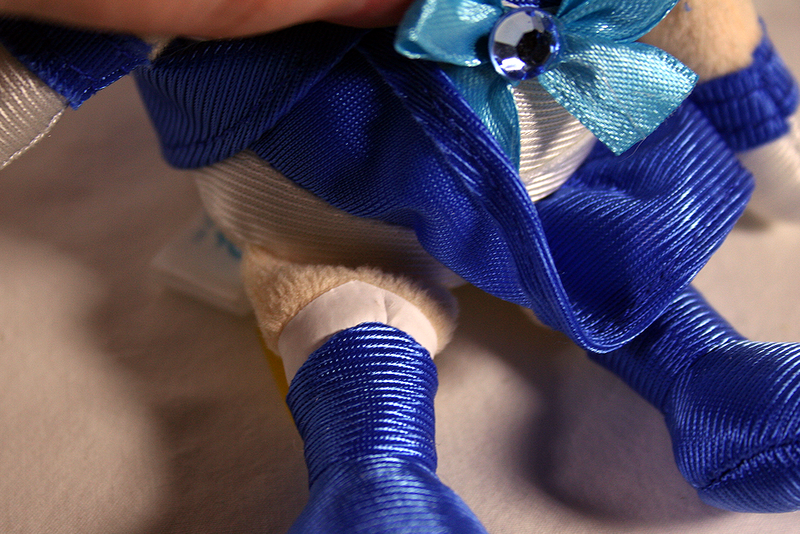 If plush don’t normally tickle your fancy they will just be plush. 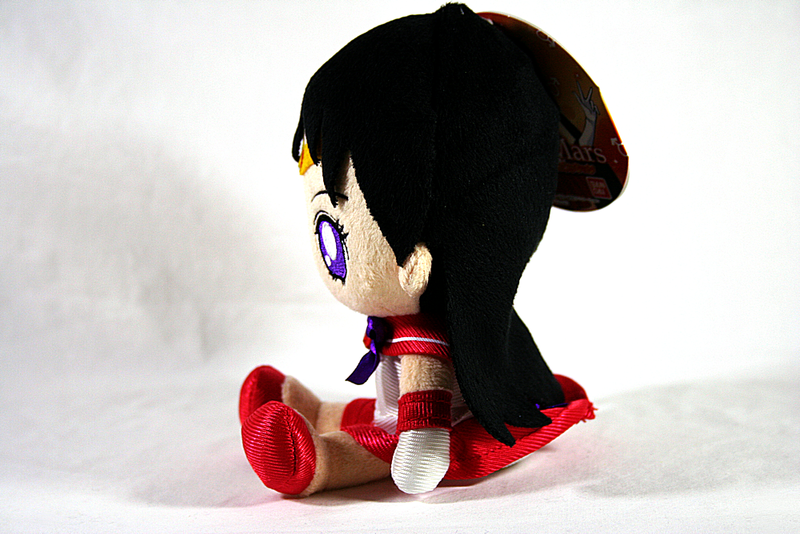 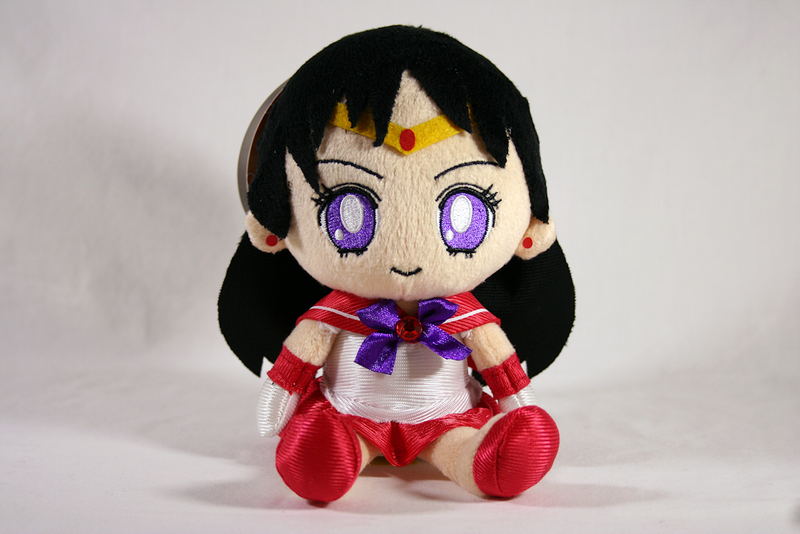 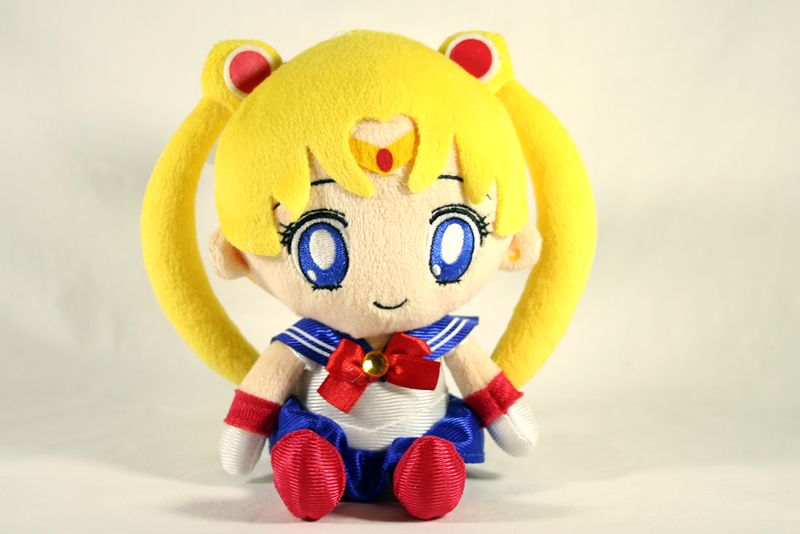 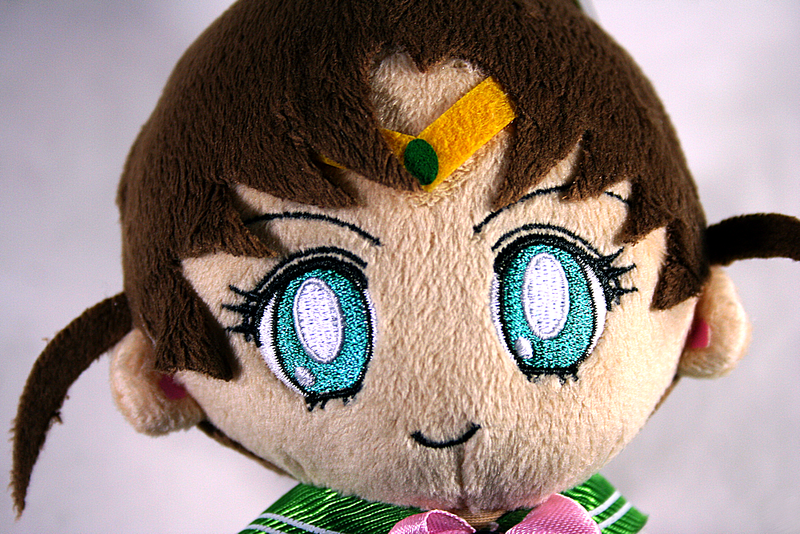 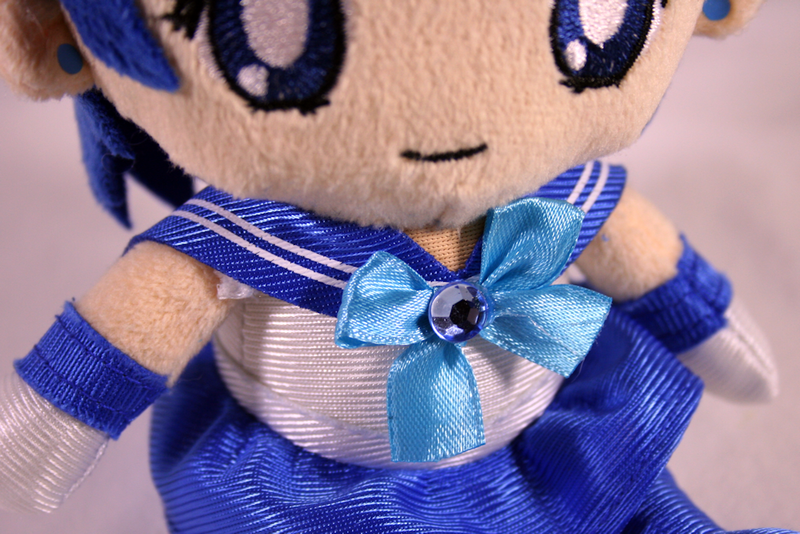 There’s nothing to make them particularly special compared to most plushies beyond being a part of the Sailor Moon anniversary. 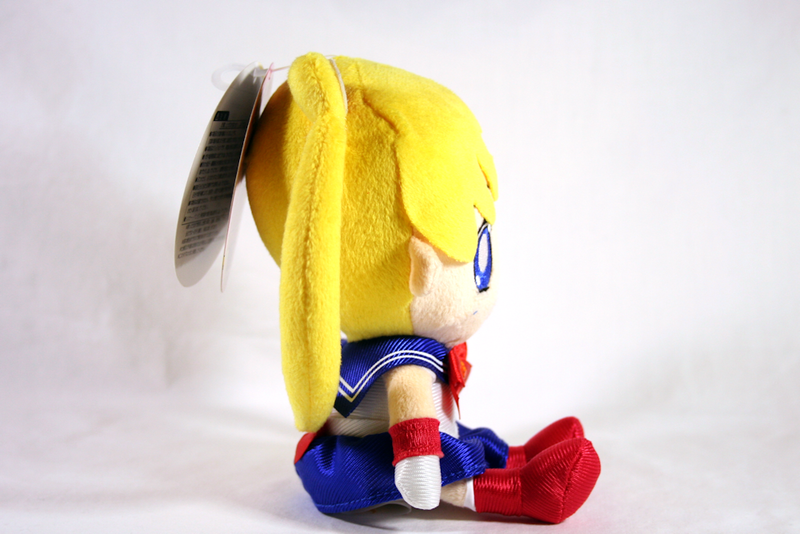 Compared to the typical plushies Sailor Moon received from Banpresto claw machines in the past though, these are a huge step up in quality. 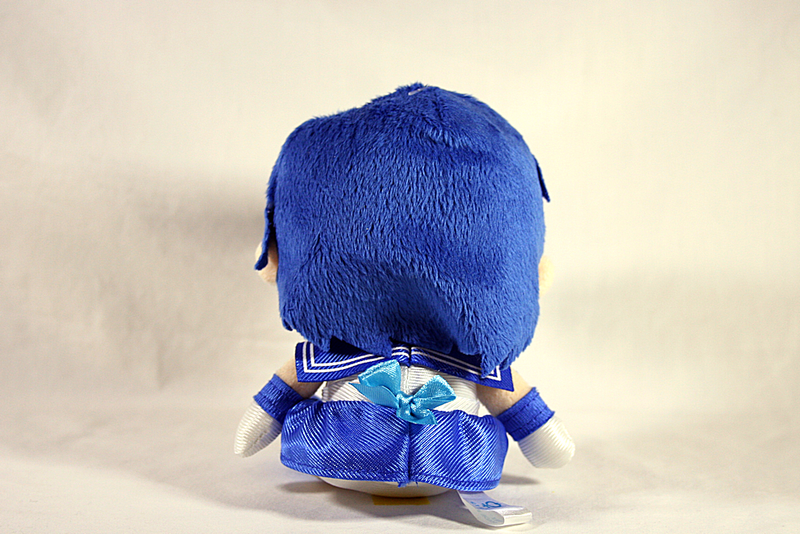 Feel free to comment with any questions you might have!